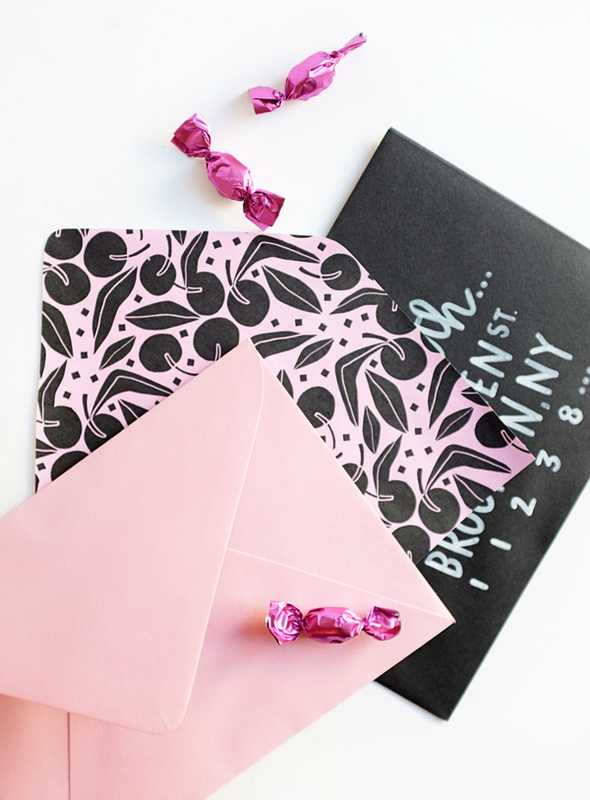 Letters are so much fun to send so why not add jazz up your next letter with a super cool envelope liner? 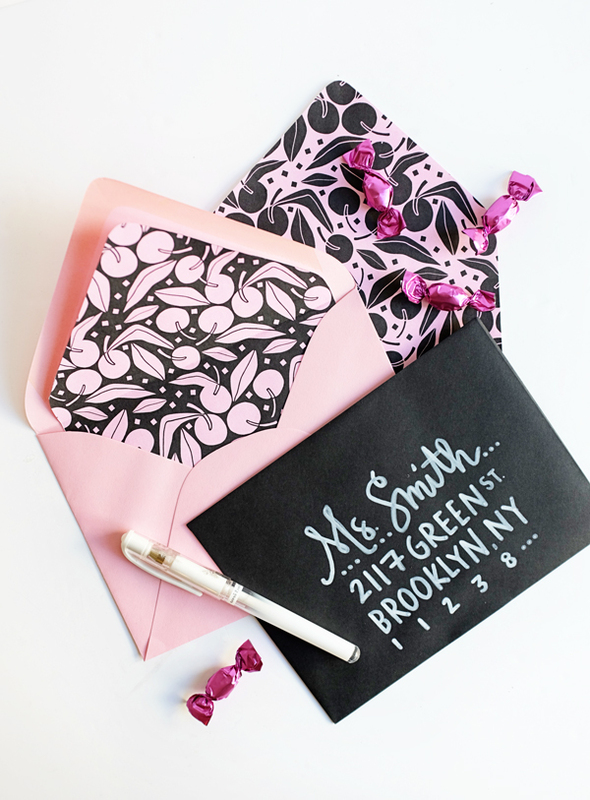 These elegant cherry envelope liners fit perfectly into an A7 envelope. 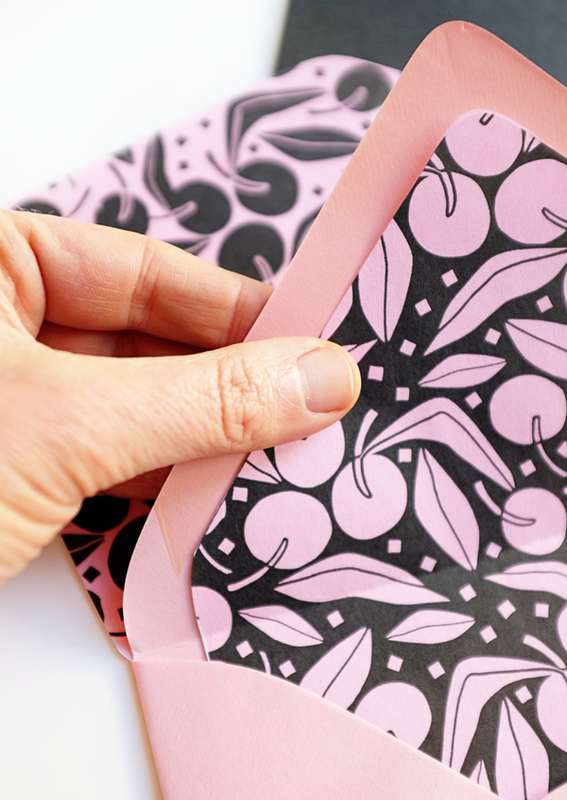 Simply print out the Cherry Envelope Liner Template, cut out, and glue or tape into an envelope. 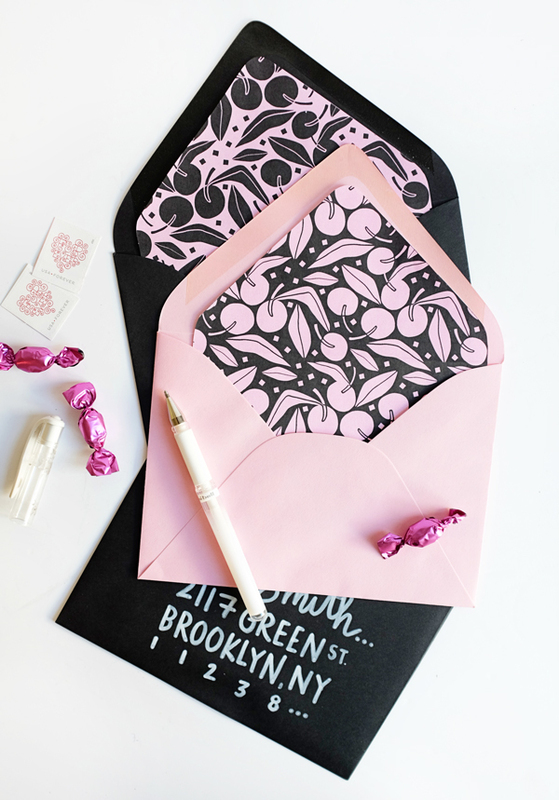 Make sure you write an extra special letter to your friend so they think you are as sweet as a cherry! These liners are so pretty! I love them! Super cute! I love the colour scheme you used! That’s so sweet Alix, details are so important & I also LOVE the black envelope, like a chalkboard.